The modern business world is evolving, and not in the slow but sure way it used to in the past few decades. Business models are changing every day, business strategies are growing with every passing hour, and technology is at the very centre of this tremendous growth. One of the major aspects that has fueled this growth is the invention of Customer Relations Management Systems (CRMs). These are systems that are aimed at improving sales by constantly analysing interactions between customers and the business. CRMs have been known to have results such as increased customer loyalty, increased customer lifetime value, and a better business reputation. Due to the scalable nature of CRMs, they can be used by businesses of any magnitude; from small retail businesses to giant retail or even commercial companies. The versatility of these systems makes them particularly good areas for businesses to invest in. Salesforce is the third-most innovative company according to Forbes 2019 and the number one CRM for small business growth. It is the number one trusted CRM for businesses of all magnitude and Salesforce understands that not all business owners have programming knowledge but they would still want to be actively involved in the process of making software that is used in their businesses. For this reason, the Salesforce CRM suite, branded as Salesforce Lightning, targets this demographic. The suite simplifies the integration of software into any business process model by utilising non-code oriented tools and drag-and-drop techniques to build applications. Salesforce Lightning, its app, and web platform have several features that are very useful in businesses. 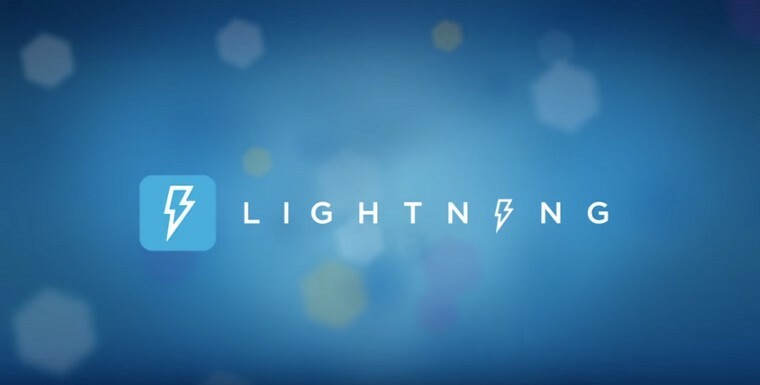 The Lightning Application Platform is built for people without prior programming knowledge or skills. This is done by using tools such as drag-and-drop, drop-down menus and a very self-illustrative building interface so that users have an easy time interacting with the myLightning platform. This allows them to tailor the application to their needs in terms of colour and functionality. The business user might need a tailored application that will require a developer who is skilled in their field. Developers can access code and Application Program Interfaces (APIs) to enable them to build their own apps that are dependent on the Lightning platform. The Salesforce and Lightning Experience are desktop user experiences available on Salesforce. They are available for viewing on a personal computer, a tablet or a mobile device. There is also a SalesForce phone app that is based on these experiences in order to keep track of products, customers and sales on-the-go. The Salesforce experience includes constant contact with the customer. This involves an in-built instant messaging feature that allows the business owner to easily contact customers. Direct connectivity with the clients or customers allows the business owner to get instant feedback, identify disgruntled customers and figure out how to improve a product in order to avoid future complaints. This channel can also be used to promote new products to existing clients in order to improve market sales for new product launches. Salesforce Lightning offers constant and real-time overviews of the business performance. It also produces reports with customisable filters in order to well investigate the causes of lagging sales or the main cause of an unsuccessful product. Data analytics tools embedded in the Salesforce Lightning framework allow the user to view analytics and predictions generated through artificial intelligence such as Einstein AI. These help the business owner to make an informed decision that is based on insight instead of assumptions. SalesFix specialises in Salesforce consultative and implementation services. We provide Salesforce support services, quick start implementation, migration, and integration of Salesforce CRM services. We work closely with businesses to streamline their supply chains and CRM processes, improving business efficiency and management. Speak to one of our expert Salesforce Gold Consulting Partners today, and find out more about what we can do for you.